Need an International Mover to Move Overseas to or From Huntley, IL? Instead of spending countless hours trying to find an international mover in or around the Huntley, IL area, you can always count on us at Advantage Moving and Storage. As a trusted and reliable source, we will work with you to ensure your 100 percent satisfaction. With years of industry experience, we have strong global connections. 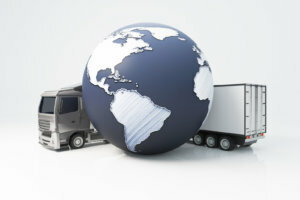 As a well-respected international mover, we will help with every step of your move or relocation. Experience coupled with unparalleled expertise allows us to choose the most efficient route and the best mode of transportation, thereby saving you money while getting your freight delivered on time. We know and abide by current international laws, making it possible for us to get through customs without delay. If needed, we can also arrange for temporary warehousing at the destination location. Whether you need assistance getting from Huntley, IL to another country or vice versa as an individual or as part of a company relocation, we are confident in our abilities. By leaving the more complicated issues of your move to our team of experts, you can focus on pressing business matters. A company representative will sit down with you during a free consultation to get a better understanding of your needs. That same professional will visit your business to conduct an on-site visual inspection to determine everything involved. You will then have the opportunity to ask questions and discuss various service options. We will then send you a quote. At Advantage Moving and Storage, we go above and beyond to meet if not exceed your expectations. Before moving from or to Huntley, IL, a highly-qualified team member will develop a systematic plan that streamlines the preparation and organization process. That individual can also address your employees, answering their questions and informing them as to what they can expect, thereby reducing unnecessary stress. Our professional installation services team will disconnect sensitive computer equipment, wrap everything appropriately to ensure safety during transport, and then, through our arrangements, we will have your equipment set up and connectivity restored. That way, you can get your business operational quickly after arriving at your destination point. For employees who plan to make the international move, we will gladly provide a list of resources for the overseas destination relating to housing, banking, education, transportation, shopping, recreation, and whatever else they need. Once your freight departs from Huntley, IL, or another country, you will have a single point of contact at Advantage Moving and Storage and access to a monitoring system so that you can track movement at your convenience.